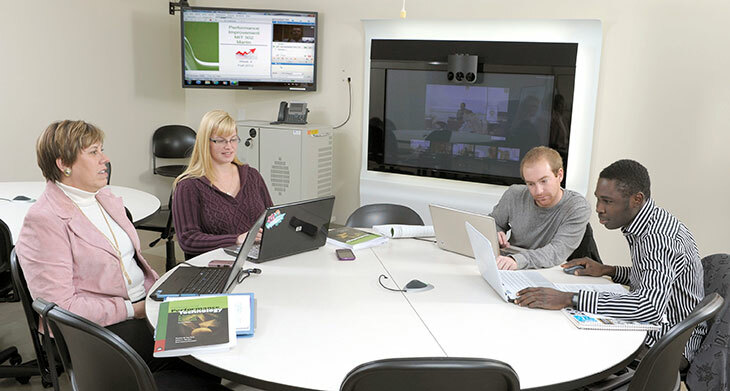 The Master of Science degree in Instructional Technology (MIT) program provides advanced professional training for teachers and school technology coordinators; business and industry personnel such as executives, trainers, and human resource development employees; persons in the health care field; and community college instructors. The program focuses on the theory and practice of design and development, utilization, management, and evaluation of processes and resources for learning. It emphasizes product development and utilization of advanced technology and provides applied training in the total design, development, implementation, and evaluation of educational and training programs. The program consists of 36 credit hours including 15 hours of core or foundation courses and 15 credit hours of focus or specialty area courses, 3 hours of seminar series (colloquia) and internship, and 3 credit hours of design and development research project or master's thesis. 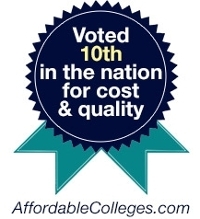 The Instructional Technology Specialist (ITS), an 18-hour certification program has also been established within the M. S. in Instructional Technology Program to address the needs of K-12 teachers, as well as instructional technology specialists, community college faculty/staff, and individuals interested in advancing their career opportunities.The Instructional Technology Specialist Certificate requires that students have or are qualified to have North Carolina class "A" teaching licensure in at least one area of education if they are seeking 079 Special Endorsement in Educational Computing and Technology Facilitation (TF). Upon completion of the program, students are recommended for "079" Special Endorsement as a Technology Facilitator. Individuals in other fields that do not require teaching licensure (e.g., business, community college or health-related fields, etc.) may be admitted to the program and complete the certificate in Instructional Technology Specialist, but will not be recommended for 079 Special Endorsement in Educational Computing and Technology Facilitation (TF). This 18 credit hour graduate certificate program in Multimedia and Instructional Web Development (MWD) is designed to meet the needs of professionals who are interested in improving their knowledge and skills of designing and developing dynamic, interactive multimedia, 3 dimensional (3D) digital content such as virtual reality (VR) and publishing them on various media platforms. The certificate program serves individuals (K-12 educators, Corporate trainers, etc.) who do not wish to earn a Master of Science degree but desire to expand their knowledge and skills in designing and developing dynamic and engaging multimedia content for multiple devices/media outlets using the latest authoring and publishing tools and web programming technologies. All courses in the MIT and IT Specialist (ITS), OT&L and MWD programs are delivered in a technology-enhanced (web-enhanced) or distance-learning (online) format. All web-enhanced and online courses are designed to provide highly interactive learning environment where students and the instructor use threaded discussion, virtual classroom interaction, email and other online synchronous and asynchronous interaction and discussion to learn the materials.